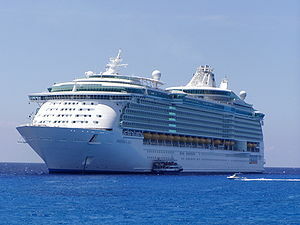 For decades, the cruise industry has been associated with luxury. While the first pleasure cruise launched in 1844, the “fun ship” Caribbean cruises of the 1960s marked the beginning of the modern cruise industry as we know it. Today, cruise ships are more than just places to have fun in the sun. Cruise ships have evolved from vessels that offered a pool and a few restaurants into something not unlike a city on the water. If you’ve taken a cruise lately, you likely experienced very little down time during your trip. In fact, many first-time cruise goers are surprised at the sheer amount of activities and attractions most cruise ships have on board. These activities aren’t just limited to long-haul voyages. In fact, most major cruise lines offer a surprising array of amenities for even the shortest cruises. For example, one major cruise line features fine dining restaurants, sports activities, spas, shopping, bars and clubs, onboard activities and events, classes and a casino — and that’s just on a three-day cruise! Fortunately for long-time cruise lovers, there’s always something new to explore. The cruise industry competition is steep, and if you think you’ve already seen it all from this sector of the travel industry, you likely haven’t seen anything yet. Many cruise lines are now looking to stay competitive by offering trips that are targeted towards more interest groups than the traditional “themed” cruises that target singles, retirees, LGBT community and so on. Instead, the new breed of cruise vacations are targeting niche audiences – in fact, the website Theme Cruise Finder boasts listings for over 500 theme cruises, including interesting voyages such as the Dancing With The Stars cruise. One of the most buzzed-about cruise features this year has been the 54 Below lounge on the Celebrity Summit’s seven-night luxury cruise from Cape Liberty, New Jersey to Bermuda. This a cabaret-style lounge features some of Broadway’s hottest stars, including many Tony award winners. Travelers on the Summit can attend two on-board acts for free during the voyage. For the cruise industry, gourmet dining and surfing lessons aren’t cutting it anymore. With more and more jaw-dropping features being added to cruise ships each year, we can’t even begin to imagine what surprises this industry has in-store in the coming years. The good news: you’re going on a cruise. The bad news: you have to decide what to pack. Admittedly, there are far worse problems to have. That said, what should a seafaring adventurer pack? Mimi Franklin tackles this question on her delightful blog “Mimi Packs Light” at mimipackslight.com. Mimi — for whom packing light has become a life philosophy — writes about her “Cruise Challenge,” in which she takes a transatlantic cruise with only one small bag. Her goal is to pack 35 outfits into a carry-on which meets both Spirit Airlines’ and Icelandair’s (the air carriers that will get her to and from the cruise ship) size restrictions. Mimi had used a Solo carry-on bag on a previous trip which exceeded Spirit’s size limits (incurring her a bag fee), and was determined not to repeat that mistake. Mimi then set about packing her “lightweight, compact and versatile wardrobe, containing no less than 35 outfit changes” into the Crew 8 Tote. When one is embarking on a 12 day excursion from Ft. Lauderdale to Harwich, England aboard Royal Caribbean cruise lines, wardrobe versatility is a must. So, how did Mimi manage to pack everything into her carry-on? This bag, like most handle bags, has three crevices due to the handle poles. I fill the crevices first with slips socks and underwear. With the next layer I try to smooth out with dresses or skirts or any materials not requiring ironing. After that I alternate with folded slacks and bundled shirts. Shoes go in separate plastic bags, and I use the outside pockets for most of my cosmetics. Mimi arrived at Harvich safely, only to discover that she hadn’t worn four of tops that she took. Yes, despite using only one rolling tote for her 12 day voyage, she had over-packed. If you’d like to read more about Mimi Franklin’s one bag-transatlantic adventures, visit her blog Mimi Packs Light.